The lineup had just undergone some rather major alterations prior to WESG, with Ruan “Elusive” Van Wyk choosing to retire. That came in the wake of Dimitri “Detrony” Hadjipaschali leaving the team after their signing with the American Denial organization. 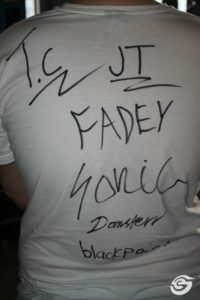 During their brief time with Denial they had to attempt to reform and rebuild the roster with new players. Those new players would end up being longtime Energy eSports teammates Robby “blackpoisoN” Da Loca and Dominic “Domsterr” Sampaio. With so little time to prepare and restructure the team we shouldn’t be surprised that WESG went poorly, as did their results online in ESEA Mountain Dew League. They failed to make the playoffs at both WESG and in ESEA MDL. Local fans’ expectations were not realistic in either instance. The team themselves would have been even more disappointed than their South African fanbase. They had good reason to be disappointed considering their latent abilities. Simply put, this is the best possible five man CS:GO lineup that South Africa can produce. The potential ceiling of this team is higher than what they ever had with Bravado. ATK have a combination of individual skill, experience at a high level of play and a balance across their roles that no South African team has ever had. It is the closest thing to a dream team that could exist from our player stocks. Based on their undoubted potential, they would have expected to immediately perform. Unfortunately that is seldom the case when making two changes. Replacing one player doesn’t usually break a team’s established systems, whereas replacing two necessitates rethinking and re-jigging a lot to make a team work. Unfortunately for the team, that was taking place with very little time to spare ahead of WESG. 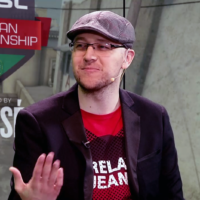 Take heart, dear SA CS:GO fans. They will get better. And they did! With some more time after their first LAN outing at WESG, something had clearly changed heading into a slew of qualifier matches for DreamHack Dallas. The players looked far less tentative. More settled and better prepared. The same teams that they had been struggling against in ESEA MDL prior to WESG were suddenly being dominated by the SA side, again still playing under Denial. This was the team we know. They did well to showcase a part of their vaunted potential against strong opponents. In the DreamHack Dallas Masters North American Qualifier, they registered a modest 16-13 opening victory over long-time Brazilian adversaries Team One. They followed that up with a 16 – 8 victory over INTZ, also from Brazil. Denial then managed an exceptional 2 – 0 victory against the highly-rated Ghost Gaming side. They would fall to eUnited 0 – 2, but then followed that up with a fantastic win against the best Brazilian side they had faced yet, in Luminosity Gaming. Another 2 – 0. They had a tougher time against EnVyUs, but still prevailed 2 – 1. The final hurdle to qualifying for DreamHack Masters Dallas was again eUnited, where they fell short with another 0 – 2 loss. I’d argue that these results do mean something for the side, now rebranded as ATK. The majority of their play within North America is online for a start. That’s the gateway to playing on LAN. Making it through online qualifiers is the only way we’ll get to see ATK at big tournaments. It’s not even so much the results in the DreamHack qualifier. It’s the way the team played. Their self-assurance as players had returned after a shaky showing in China. The elements of teamplay that were missing at WESG were back in spades. Playing a looser style than previously and with star player Aran “Sonic” Groesbeek switching back to the AWP, the team seems to have hit upon a winning formula that they need to build upon. While I wonder whether Sonic might continue in the sniper role long-term with an established AWPer like blackpoisoN on the roster, the change was extremely effective. 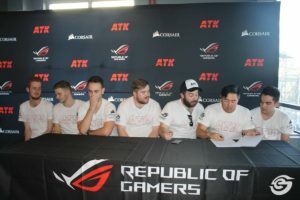 After a couple of weeks off back home in South Africa and the signing of their contracts with new org ATK behind them, I hope to see them continue the form they last showcased in the USA. 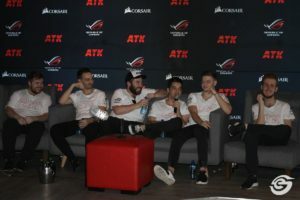 With the player resources they have, the financial resources of their new MGO and the experience of playing in the United States for the last year under their belts, ATK have all the elements they need to supersede their achievements last year. I’m going to be behind the team all the way and I hope all South Africans fans will do the same.